Visit Yeti Casino Get up to €/£/$333! 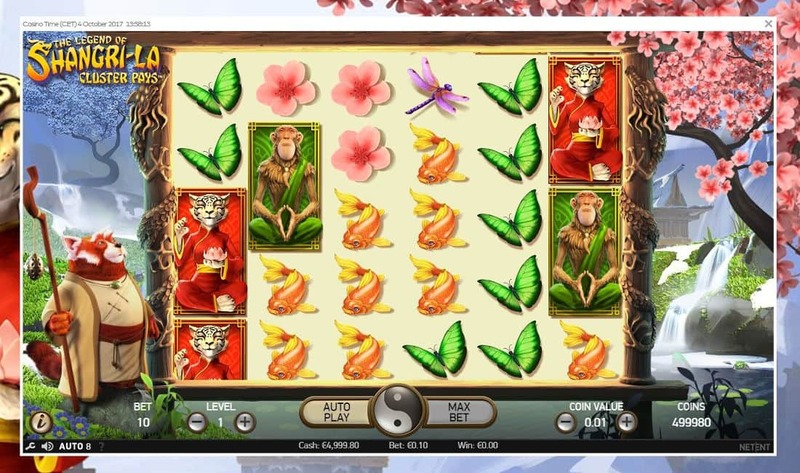 "A new online casino that makes a good first impression with its many premium online slots!" Yeti Casino has a secure site that has been verified by GoDaddy.com and all of the games are fair. Licensed in full in Malta and in the UK. Yeti is regulated by the Gambling Commission and the Gaming Authority. Offers multiple banking options for funding the account, including debit cards, credit cards, web wallets and bank transfers. Withdrawals are verified and processed by the casino team within 24 hours during the working week. Join Yeti Casino today and you will be rewarded with 23 free spins instantly. Once a registered member, the first deposit will come with a 100% bonus that goes up to €/£/$333 and includes an extra 77 free spins. Some creatures are only found in stories but Yeti Casino brings a really exciting gaming option to players from around the world. This new online casino was launched in 2017 and it is already becoming a popular choice. Given the fact that it is operated by L&L Europe, reliability and experience are not an issue so the site can be trusted completely. The first thing that stands out in the Yeti Casino review is the collection of games. The platform is powered by NetEnt, Microgaming and Amatic. There is a very impressive range of video slots to try out. Evolution Gaming can also be found on the site with its award winning live dealer games. All in all, with over 450 options to choose from, things are already looking very good. Making things even better is the international reach of the online casino. It is licensed by the UK Gambling Commission and the Malta Gaming Authority so it is available in many countries. The language on the site can be changed between English, German, Norwegian, Finnish and Swedish. The currencies make it even more welcoming as there are nine options available. Yeti Casino is not just popular in Europe but also in New Zealand, India and in South Africa. The design on the website is not too flashy or complicated. The simple layout is a big plus when it comes to navigating the pages and the hundreds of games. The welcome offer is presented from the start, promising new players €/£/$333 and 100 free spins. The cherry on top is represented by the perfect mobile compatibility. The full casino has been created to work on all platforms, including mobile devices. You can always have the top games available on your smartphone. When it comes to games, Yeti Casino has something for everybody. With the help of the clean lobby, users are able to easily browse the different categories. Slots are usually the go-to options and the site definitely has a lot of entries in this section. In fact, there are two categories. One is for video slots and has over 150 of the best creations from NetEnt, Microgaming and Amatic Industries. The other is for classic slots and will present more than 50 options with retro themes. Given the fact that a download is not required to start playing the games, it only takes a few seconds to get the action started. The casino online allows visitors to practice and enjoy the games for free. The switch to the real cash version can be done within minutes by registering and depositing. On the topic of online slots, Yeti also has more than a dozen progressives. Some of the jackpots presented here are huge, exceeding $1 million. You can try your luck at Mega Moolah, Hall of Gods, Major Millions, and Mega Fortune for the chance to become the next millionaire from progressive slot games. As for the other categories, the site is packed with table games. Roulette, blackjack and baccarat take up most of the space with the multiple versions provided. These titles, along with a few others, can also be found in the Yeti Live Casino. With software from Evolution Gaming, the tables run around the clock and present real croupiers for more excitement. Banking is handled well at YetiCasino.com with the help of a secure cashier. Users will have multiple options to choose from, including internationally popular methods and local alternatives. Visa, MasterCard, Skrill, NETELLER, and Paysafecard are the most commonly used options for deposits. However, payments can also be done by iDeal, Boku, bank transfer, Sofort and Zimpler. Keep in mind that casino deposits must be of at least €10, or €30 via bank transfer. EUR is just one of the many currencies available. When registering on the site, you will be given the option to select the preferred playing currency. Options include GBP, SEK, NOK, ZAR, INR, CHF, CAD and NZD. Withdrawing money is just as easy. The minimum amount required is €20 per transaction and the maximum daily limit is of €5,000. Requests will be processed within 24 hours during the week and it can take up to five more business days to receive the funds. One of the perks of playing at a new online casino is that the promotional incentives to join are usually bigger than the standard offers. This is the case for readers of the Yeti Online Casino Review. Just by registering on the website, you can get 23 free spins. This is just the tip of the iceberg however as the first deposit will be matched 100% up to €/£/$333, R3,333 or ₹24,000. Plus, an extra 77 free spins will be granted. The free spins can only be used on Starburst and Joker Pro. Any winnings obtained from them are added to the bonus funds. Bonus amounts must be wagered 40 times within 30 days. For this wagering requirement, only slots and specialty games count when betting. In other words, if you deposit €100 and get a €100 bonus, you have to bet €4,000 on slots to withdraw the winnings from the account. Deposits made by Skrill or NETELLER are not eligible for the welcome offer. Although the site doesn’t offer a lot of information on the loyalty program, our team of experts conducting the online review of Yeti Casino found it to be pretty good. Player Points are earned automatically when depositing and when playing the games. For each €/£/$20 deposited, you will earn 2 Yeti Points. However, 2 points are deducted for every €/£/$20 withdrawn from the account. The current balance of loyalty points can be seen in the account. These can be turned into real money in increments of 50 or more if the playing balance is under €/£/$10. It doesn’t get any simpler than this as the program doesn’t use multiple loyalty tiers like other sites. The offering of promotions is very attractive every week at YetiCasino.com and there is always something new to check out. These are listed as news on the website and each one is available for a limited period. While some promotions run every week, others are specials for certain days. Overall, the promotions throughout the week normally offer free spins, reload bonuses, and challenges with rewards for active members. One ongoing promo is Yeti's Saturday Cash Back where players can earn 10% back on the Saturday action. All you have to do is deposit and if luck isn’t on your side, you will get 10% of the losses back. The full gaming collection covered in the Yeti Casino review can be accessed from mobile devices as well. The new gaming site is built on modern technology and this is supported on just about all smartphones and tablets currently available on the market. As a result, players will not be required to download any apps or plugins in order to play. It is enough to go to YetiCasino.com from the mobile browser to start betting at any time, from any location. The best part is that there are over 450 mobile games supported for free and for real money. The Yeti Mobile Casino app really has it all. It is easy to access from any iPhone, iPad, Samsung Galaxy, BlackBerry, Windows Phone or other smartphone brand. It has a vast selection of slots, progressives, table games, video poker and even live casino games. On top of that, it is secure and supports mobile payments from the account. While the fun and excitement remain the same, the interface will change to better fit on the screen. Also, some of the NetEnt slots come with optimised controls for smartphones. Overall, it is definitely one of the best mobile casinos available today. Yeti Casino has a game selection that can really put a smile on your face. 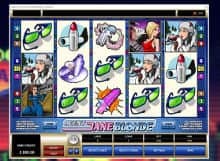 With handpicked games from NetEnt and Microgaming, the online casino has something for everyone but mostly caters to fans of slots. A big advantage of the modern platform is that it is available in full on mobile devices and customers can connect with the same accounts. When joining for the first time, players get welcomed properly with €/£/$333 and 100 spins or free. The welcome package is followed up with other generous promotions every month. Withdrawing the obtained winnings is safe and can be done quickly via various banking methods. In conclusion, Yeti Casino Online is an option that has to be checked out quickly. Join Yeti Casino and get 100% on the first deposit!